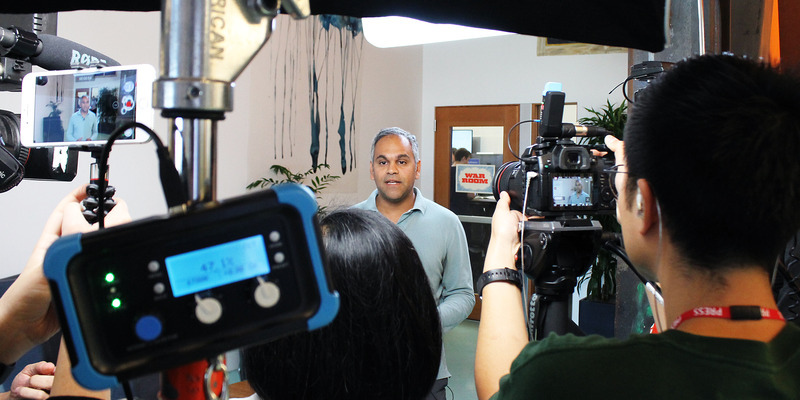 Rob Price/Business InsiderSamidh Chakrabarti, the head of Facebook’s civic engagement team. Facebook has built a physical “war room” in its California headquarters to try and avoid repeating the mistakes of the 2016 US presidential election. The company has made progress in some areas around securing the integrity of the platform, ahead of the midterm elections – but there are still some worrisome signs that all is not well. Facebook can’t afford to repeat the mistakes of 2016. During the 2016 US presidential election, the social network was wildly abused by Russian propagandists, who spread fake news and misinformation on a massive scale – setting off a chain reaction of scandals for Facebook that reverberates to this day. Two years later, America is gearing up for its contentious midterm elections, and Facebook is eager to show progress in its fight against election-meddling. 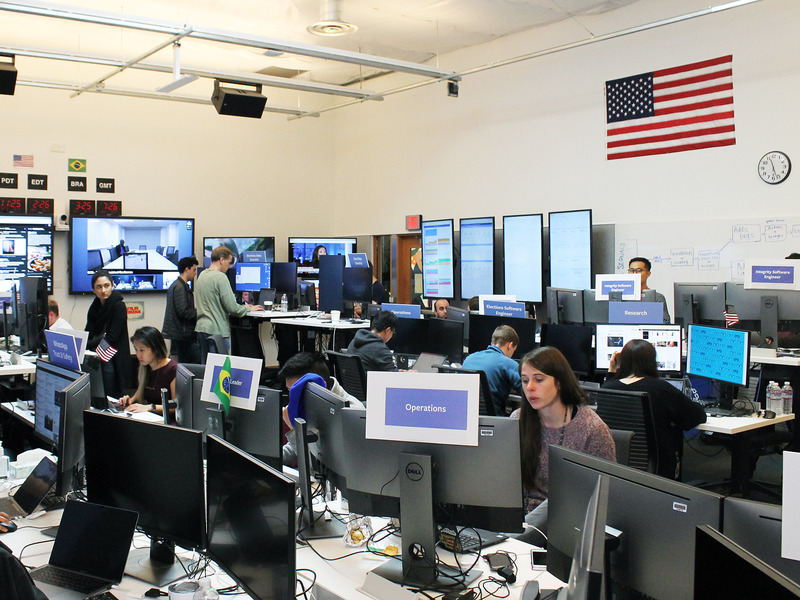 On Wednesday, the Silicon Valley firm invited journalists into its Menlo Park, California headquarters, to tour the “war room” it has put in place to tackle election-related issues in the US midterms and the presidential election campaign still ongoing in Brazil. 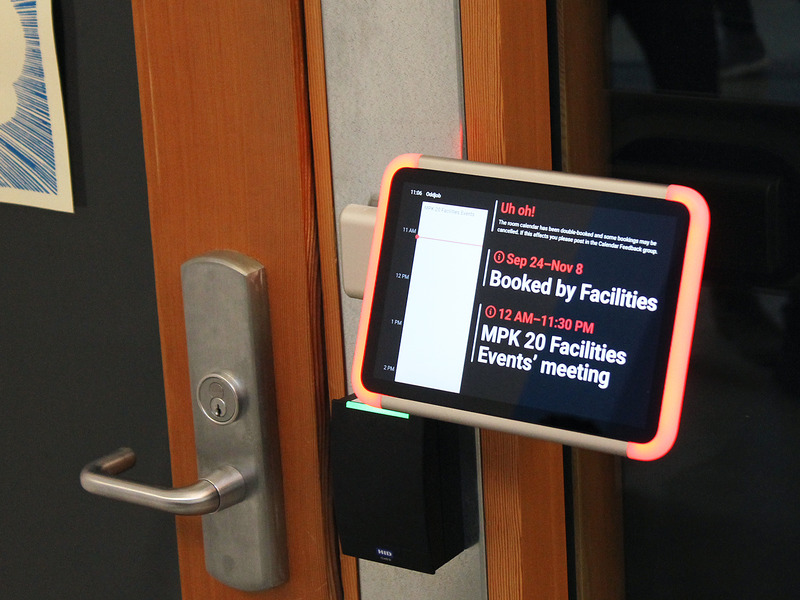 The “war room” is literally that – a room of experts and team members in one place where they can coordinate more effectively – and Facebook can point to it as a symbol of its efforts to be far more prepared this time around. And while its clear the company has made significant strides in some areas, there are still some worrying indicators that all is perhaps not well. 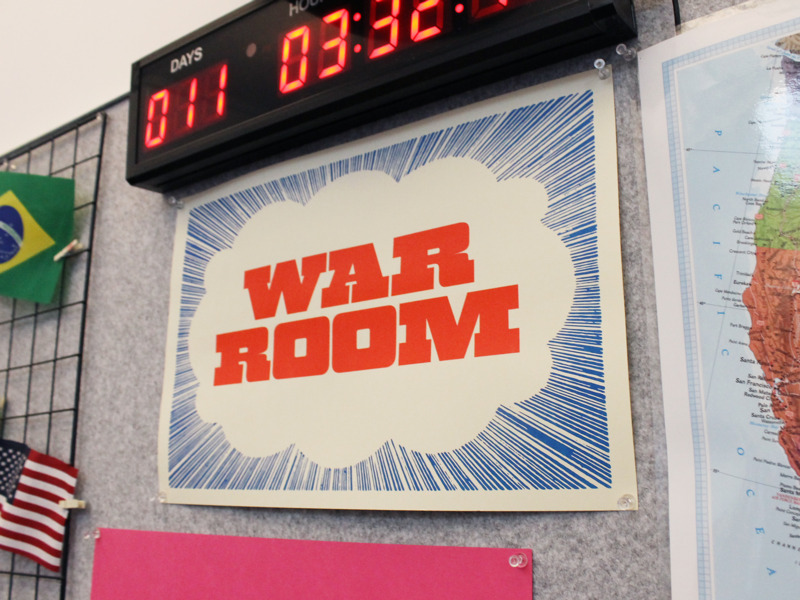 The war room is a cluster of sitting and standing desks, home to around 20-30 people at once, representing 20 different teams across the company, from threat intelligence to moderation. The walls are draped with American and Brazilian flags, alongside clocks showing different time zones and televisions blaring cable news. Big computer screens, meanwhile, display everything from relevant internal analytics and video conferences with other offices, and recent tweets in the TweetDeck app. Rob Price/Business InsiderFacebook has pinned up fancy posters for the ‘WAR ROOM’ inside and outside the room. And the few-dozen people in the room also work with their own respective teams throughout Facebook, making the War Room a “nerve centre of this much broader effort,” said Nathaniel Gleicher, Facebook’s head of cybersecurity policy. How does Facebook plan on protecting the elections? There are three main pillars to Facebook’s attempts to protecting elections, company executives said. It is cracking down on fake accounts. It is making advertising more transparent. And it is trying to tackle the distribution of fake news and misinformation. Progress has been made on this, including the creation of an archive of political advertisements that anyone can view. Rob Price/Business InsiderThe room the ‘War Room’ is in is booked up until November 8, two days after the US midterms. But while Facebook has attempted to crack down on fake news on its core Facebook app, it’s still a problem on other apps it owns – notably messaging app WhatsApp. A recent study found that the majority of the most popular political content shared on the encrypted messaging app in Brazil is false or misleading. When pressed by reporters, Facebook execs didn’t have a satisfying answer on how it would try to combat the flow of fake news and misinformation, instead pointing to minor cosmetic changes like the addition of a “Forwarded” indicator next to messages that have been forwarded, to show when a message didn’t originate with the sender. The risk of fake news spreading via WhatsApp is less acute in the midterm elections in America, where relatively few people use the app as their primary communication service. But in elections in Europe and elsewhere in the world, the danger is profound. And it’s still not clear that Facebook has a handle on it.